The Place Marketing Forum awarded the organisation for its role in re-imagining the city’s northern commercial core. 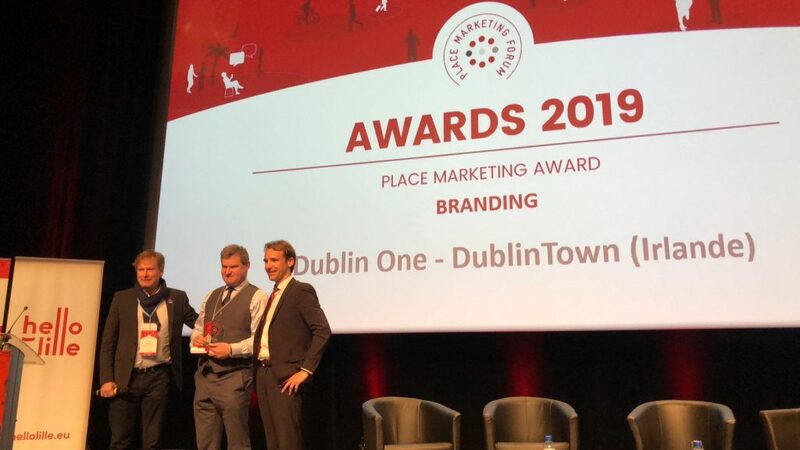 On April 4th, DublinTown was honoured with the award of Laureate at the Place Marketing Forum held in Lille, France. The award, under the category of Branding, was in respect of the Dublin One Project, a project that seeks to secure the future of the city’s northern commercial core through timely interventions informed by public research. Commenting on the award, DublinTown CEO Richard Guiney said: “This is a time of rapid change and challenge for all retail destinations. Customer preferences are changing, and it is essential that destinations adapt to this new paradigm if they are to survive and thrive. The Dublin One project sets out to re-imagine O’ Connell Street/Henry Street and their surrounds. It is a partnership between the city’s business community through Dublin Town and Dublin City Council and is informed by the input from the American Institute of Architects who visited the Capital in March 2017. “This is a great achievement for the area and the businesses in it who work hard to ensure it is a destination to visit, enjoy and invest. We would like to thank all involved who have helped us bring life back into Dublin One, the heart of the city,” he said. Created in 2013 and organised by the New Place Marketing and Attractiveness Chair (A&NMT) and hosted by the French Public Management Institute (Aix-Marseille University) this annual international meeting brings together decision makers, elected officials and managers tasked with enhancing territorial attractiveness. The Place Marketing Forum aims to present, exchange and reward outstanding cases that illustrate best practice in place marketing worldwide.